A natural purifier, Palo Santo eliminates harmful bacteria from the air. Palo Santo can transform the energy of the body and mind and support the feng shui or energy of a home. In addition to clearing the energy of a space, it can heal holes in the aura and keep them balanced. With a clear mind and good intentions use a match or lighter to ignite your stick of Palo Santo. Hold at about a 45 degree angle pointing the tip down toward the flame. Allow it to burn for about 30 secs to 1 minute and then blow out. 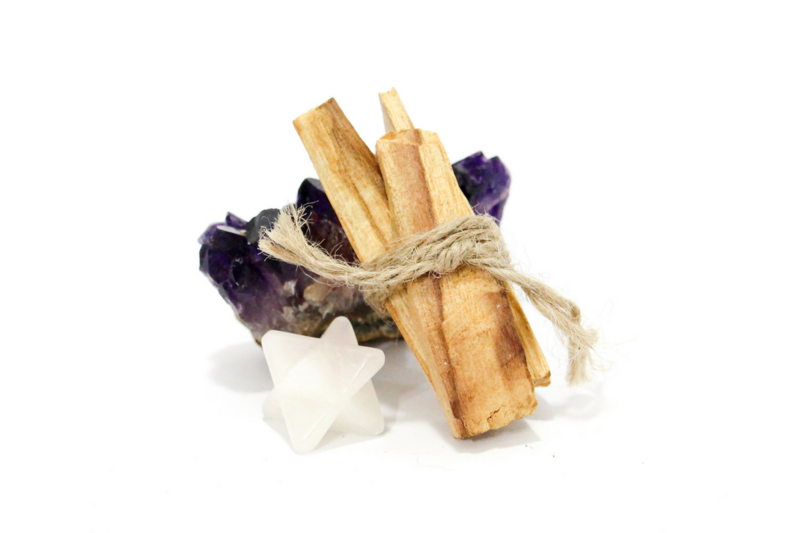 With you lit Palo Santo walk around your workspace, home, car, bathroom or anywhere you would like to clear the energy.